Welcome to the pinnacle of sport and style. 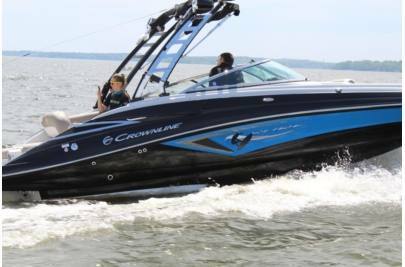 The new Crownline Surf Series is a beautiful game-changer that delivers an extreme, yet refined experience. 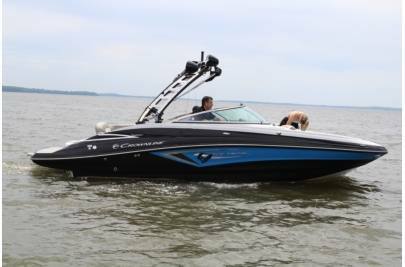 The luxurious, Lineage interior provides space for your passengers as well as plenty of storage room for all your boards and skis. 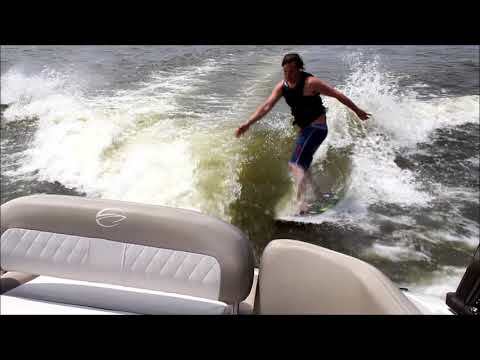 An accessible walk-through transom compliments an awesome extended swim platform to create a boat that everyone can easily move around in. 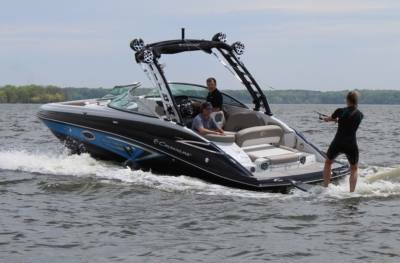 Under the water, the top-of-the-line Volvo forward facing prop system delivers the best – and safest – water sports experience available today. 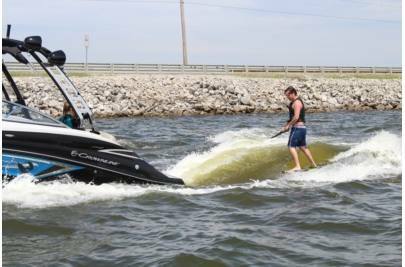 Of course, being a Crownline, the Surf Series comes with unparalleled standards and style. 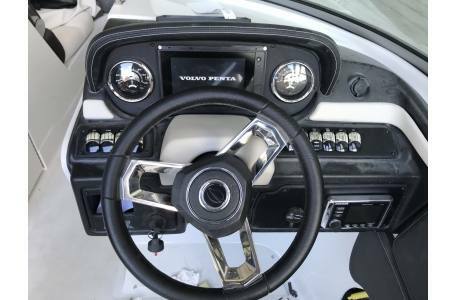 Enjoy a high class bimini top, one piece, shark skin boat cover, snap-in cockpit mat, Volvo 7" Watersports MFD Package with engine info, depth, speed, trim & Ballast control, and an eight Wetsound speaker system with Kicker Marine stereo at no extra cost. 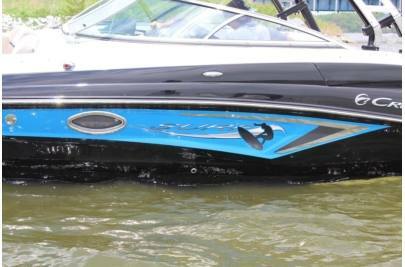 Stainless steel accents enhance the sleek and stylish lines and gorgeous gelcoat designs that Crownline boats are known for. Nationally advertised price also includes a Deluxe Forward Drive Custom Color-Matched Trailer, LED Lights & Brakes on Both Axles, Tread Brite Fender Inlays, Aluminum Rim Upgrade (Choice of Black or Brushed) , Fulton Jack & Fulton Winch!